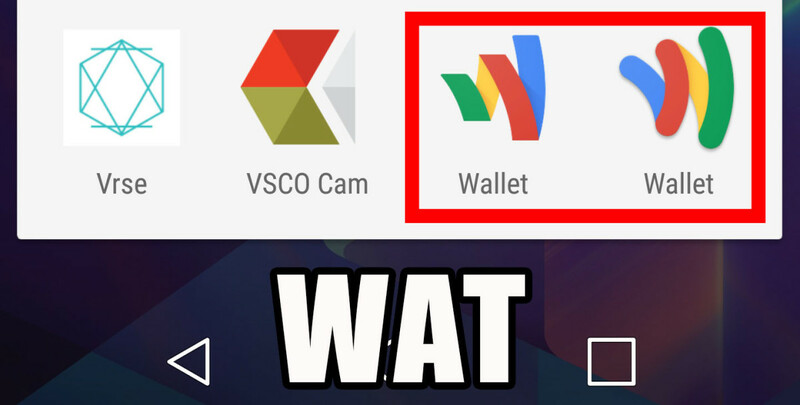 Google just launched Android Pay, so why do I have two Wallet apps? Android Pay launched yesterday to replace Google Wallet with a simpler, quicker contactless payments service. Actually installing the feature is pretty confusing, however. The new Android Pay app is supposed to arrive as an update to the original Google Wallet. However, Google also just launched a a second, completely separate Google Wallet app, which refocuses the platform for person-to-person payments, similar to Venmo or Square Cash. I mistakenly downloaded the new app, thinking maybe it would help me access Android Pay. Instead, now I have two Google Wallet apps… and still no Android Pay. Both apps share the same name and very similar logos, making it difficult to distinguish one from the other while you wait for the update to the original Wallet app to arrive. Furthermore, people who do have access to Android Pay already may not be able to use all the features they were able to with Google Wallet. Though Android Pay accepts cards from several major US banks, not every card supported by Google Wallet is officially accepted by Android Pay (the official list can be found here). According to Android Police, Google will temporarily allow you to use your unsupported Wallet cards with Android Pay, but banks won’t be able to properly track your spending for points or rewards for these ‘grandfathered’ cards. Furthermore, if your card happens to expire or you need to get a replacement during this time period, you won’t be be able to add it onto Android Pay. Sure, these are growing pains that will mostly go away in the coming weeks as Android Pay rolls out to everyone and Google adds more bank support, but in the meantime, it could be confusing for a lot users looking to upgrade. That’s pretty unfortunate, given Android Pay is supposed to simplify contactless payments. I reckon it would’ve been easier to simply make Android Pay a separate app, rather than updating the old Wallet one. If you don’t feel like waiting, your best bet is to manually install the APK file.